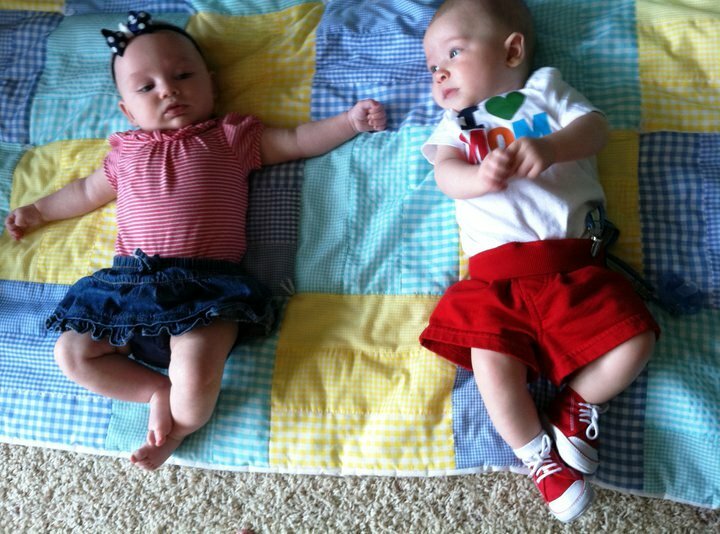 They're 1st date...I mean playdate. As a parent I think it’s important for us to encourage our children to have friends and maintain those friendships, as long as they are healthy friendships. 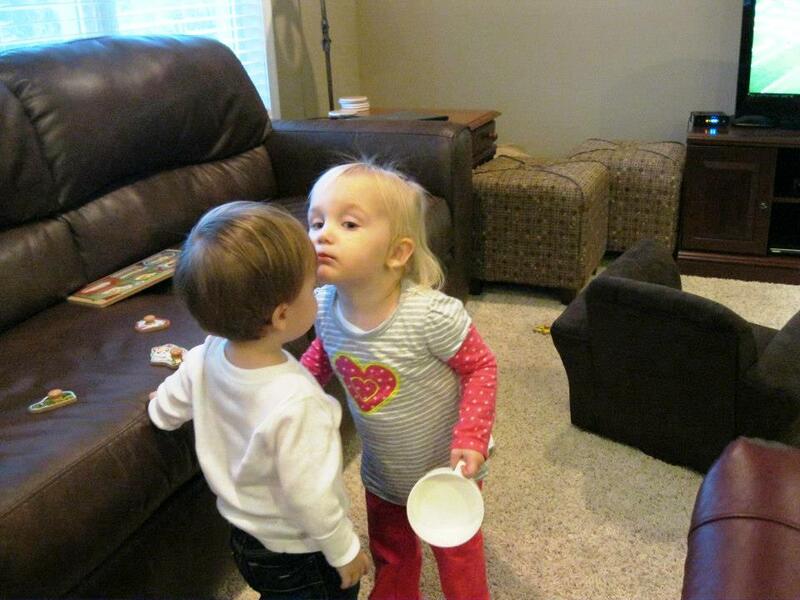 Socializing is one of the most complex skills a child will learn. As parents, we can do a lot to help them develop these skills positively. As the mother of a toddler, I’m aware that my little munchkin is not quite at an age where he understands what having and being a friend means. 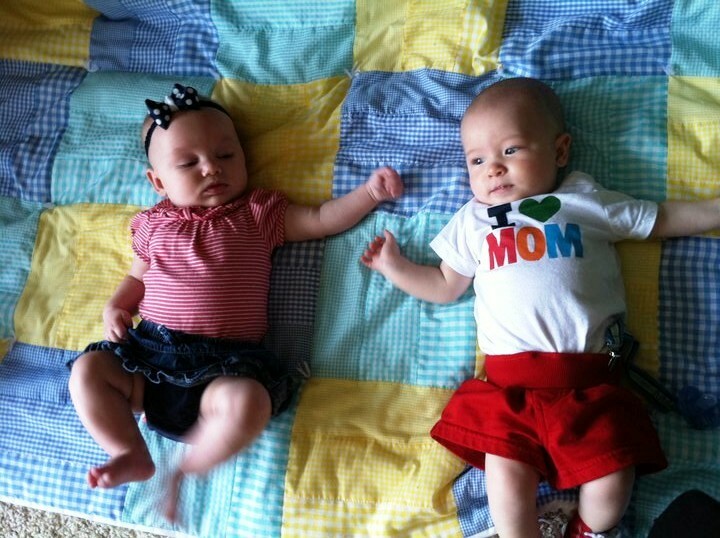 However, I can teach him what it means to share, to be kind, and to gain the ability to parallel play. 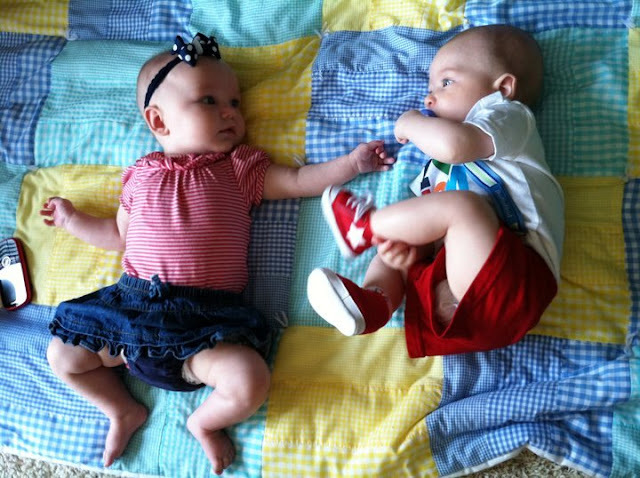 Mason is lucky to have a friend, Miss Cambri, that he’s known since he was just a baby that he is able to spend time with, and I believe these two will have a lasting friendship. 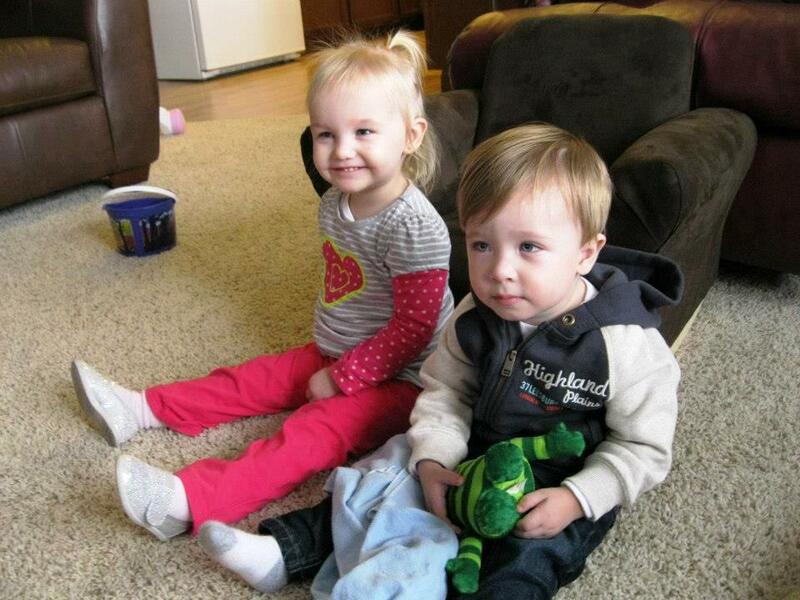 It’s been fun watching these two little munchkins grow up together. Each time they are together there’s a little bit of crying, a little bit of kissing, a little bit of laughing, a little bit of whining; a little bit of this and a little bit of that. Finally getting a hold of playing together. I think it’s important to allow our kiddos to spend time with children outside of daycare or nursery and get some one on one time. It allows us as parents to guide their reactions to kids they don’t see on a regular basis; a great opportunity for us to teach them in a positive way. 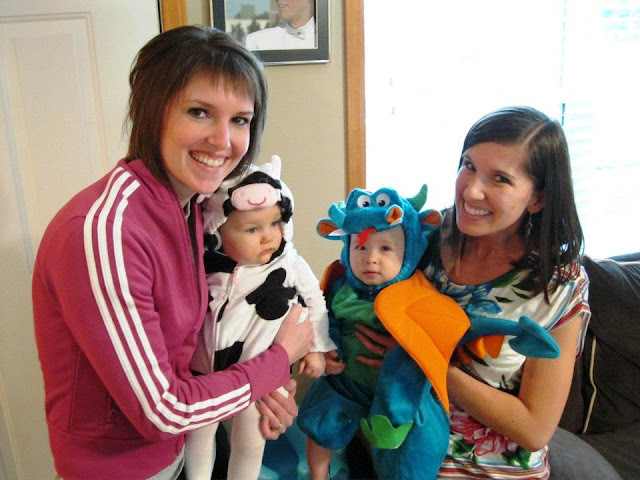 For more information on a child’s first friend you can visit The Parent Report. My longtime friend, Andrea Hauser, is proud to announce the launch of her new business as an Independent Designer with Origami Owl Custom Jewelry, a fun and fashionable direct sales company with a unique twist. As an Independent Designer with Origami Owl, Andrea holds interactive events where she helps guests create one-of-a-kind personalized jewelry that best reflects their style. Origami Owl was founded by a 14 year old entrepreneur. Inspired by the desire to create jewelry that would be beautiful, meaningful, whimsical and fun, Isabella Weems launched the company with the goal of saving enough money to buy her first car. 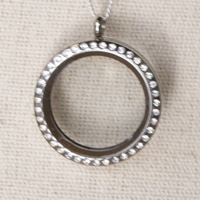 In 2010 she introduced the “Living Locket”, a necklace that can be customized with meaningful charms that represent things that are important to you. From humble beginnings at home parties, the success of Origami Owl quickly grew in fanfare and today Weems’ business model is replicated by Independent Designers nationwide. For more information about Origami Owl’s customizable jewelry, hosting a party or starting your own Origami Owl business, contact Andrea Hauser at (574) 596-4763 or andreahauser.lockets@gmail.com. You can also visit her at http://andreahauser.origamiowl.com/. I couldn't be more excited to spotlight Andrea’s new business venture and announce a giveaway! Simply go to Andrea’s Origami Owl Webpage and browse around. 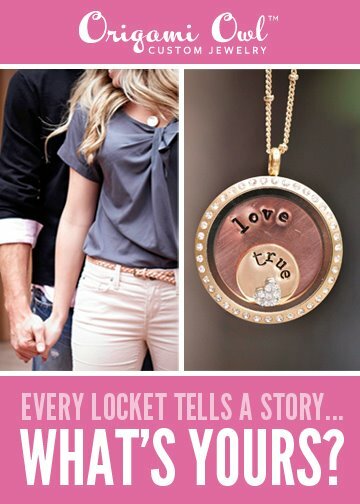 Come back and comment stating how you’d fill your locket if you won. Pretty Lovely Design Giveaway winner announced! Please contact me so that we can make arrangements to get you your locket. I LOVE to party plan! If you ever need help planning any sort of party or wedding let me know. 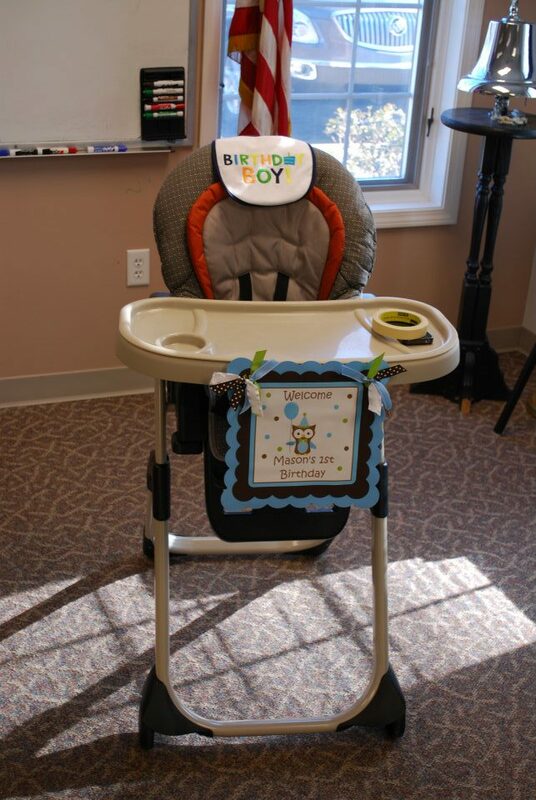 I was so excited to plan Mason’s 1st birthday party. 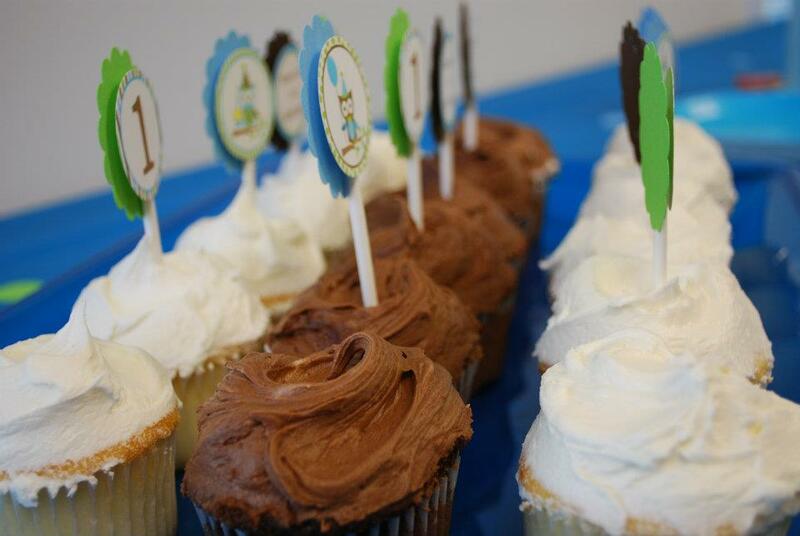 Some say I went overboard, but I don’t think you can ever go overboard when it’s comes to the 1st birthday party. 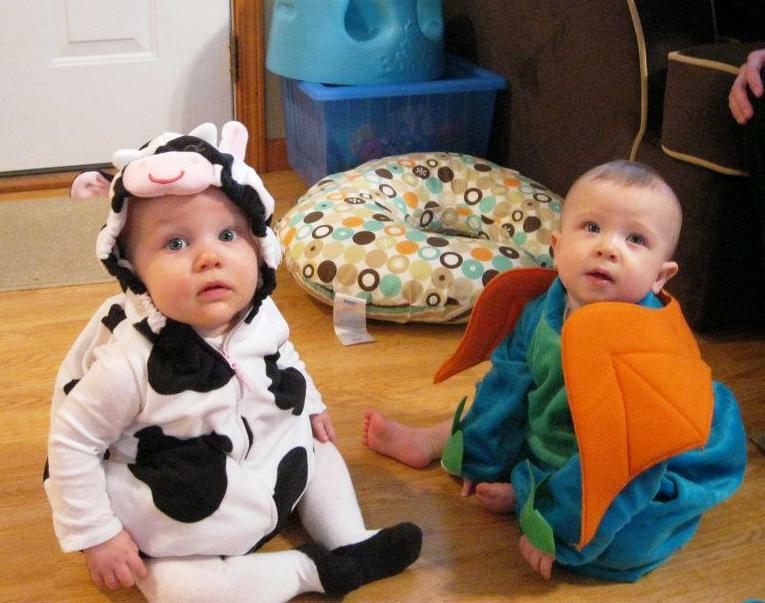 It’s a huge milestone for our munchkins! 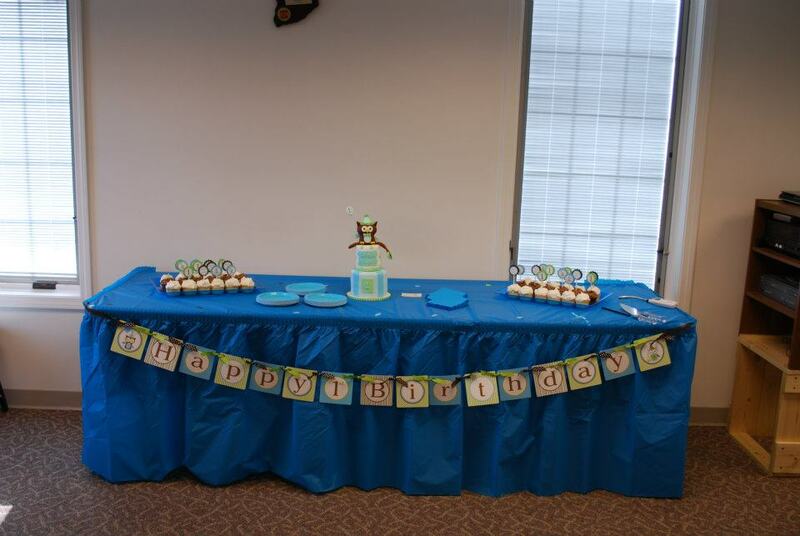 Mason’s room is themed in Vintage Owls and I wanted to plan his birthday party with the same theme. I know as he gets older he’ll want to pick his own party themes, so I figured that his 1st and 2nd birthday party themes will be all mine to choose and have fun with. 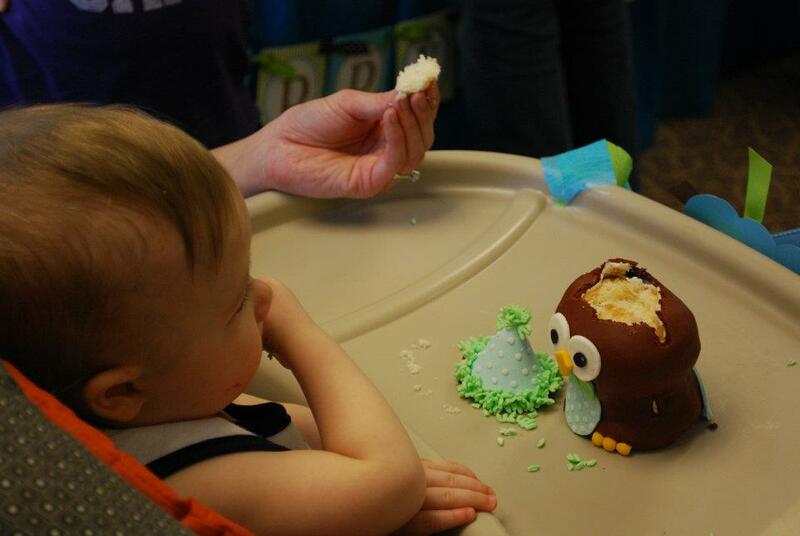 His 2nd birthday party is already planned & will be even cuter than his 1st birthday! When party planning I find it’s easier to pick your theme idea, find an invitation style you like, then build the rest of the party around that. 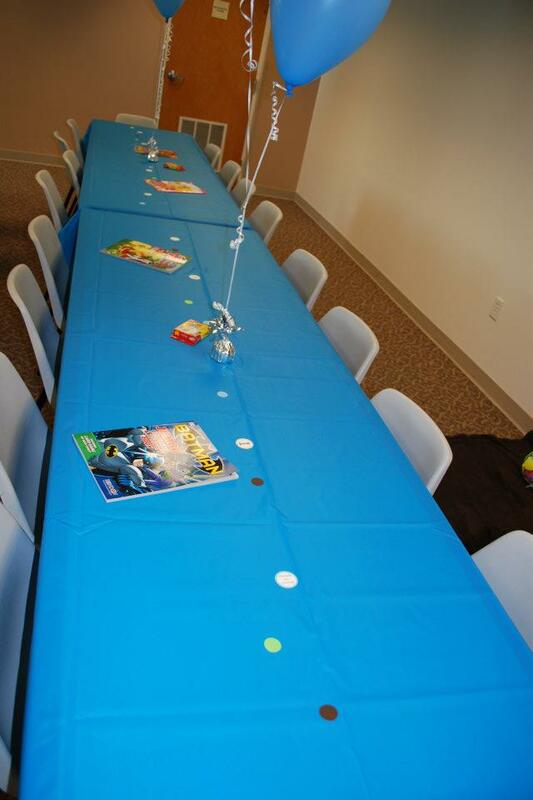 Once you have the invitation picked out you can work with the colors of the party. I was lucky to find a shop on Etsy that not only made the invitations, but made an entire 1st birthday kit to go with it. That was a HUGE time saver. Not only did she design the stuff, she printed it, and sent it in the mail to me all ready to go. 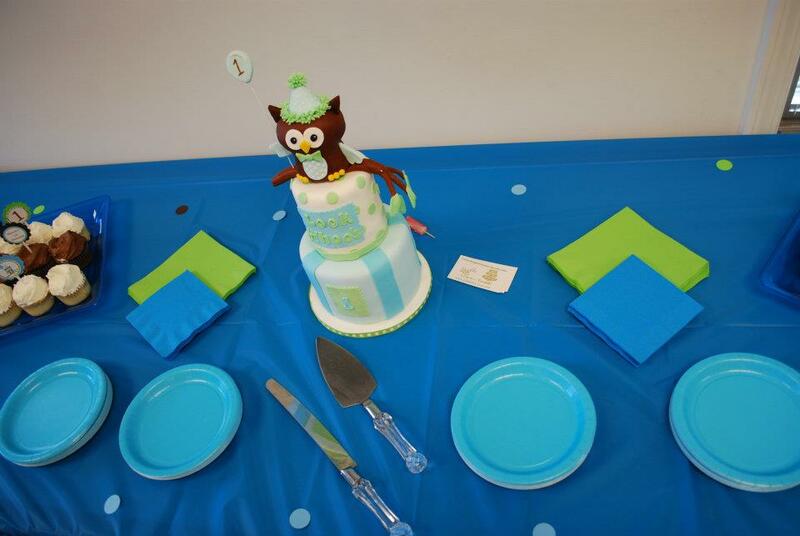 Once I had all that taken care of I was able to order the cake to match, plan the rest of the menu which all depends on the time of the day of the party, and of course find the perfect outfit for Mason, which I got from Etsy as well. I’ll be spotlighting Made 4 You Boutique next month so you’ll get to learn more about all the things they offer. 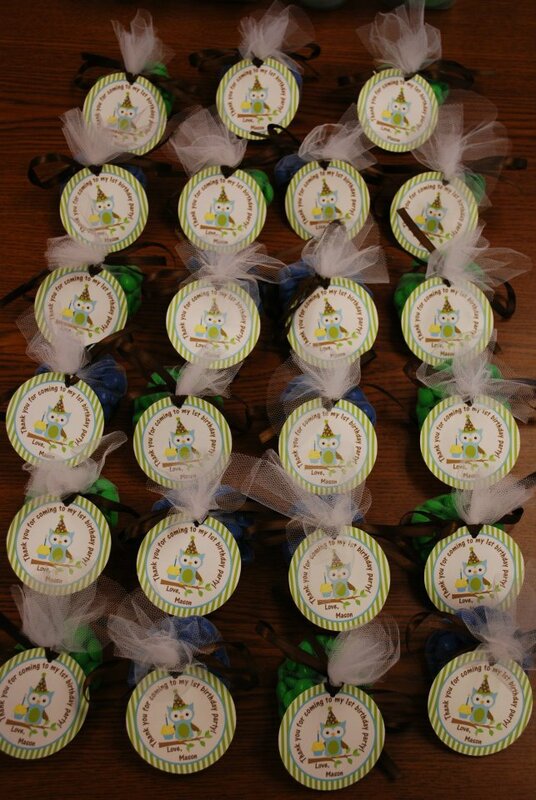 Next I worked on party favors, which are a must in my opinion for a 1st birthday. I wanted to do something special for the kids and decided to go homemade. 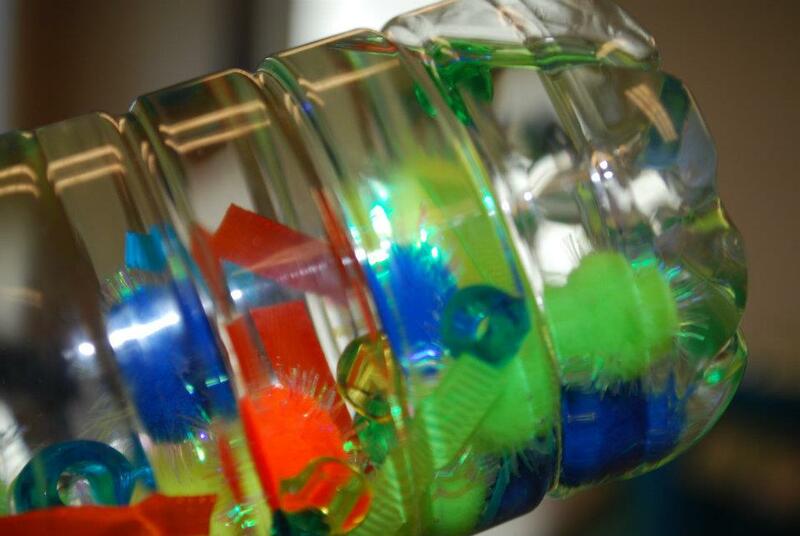 For the young ones I made homemade glitter bottles; a sensory item. 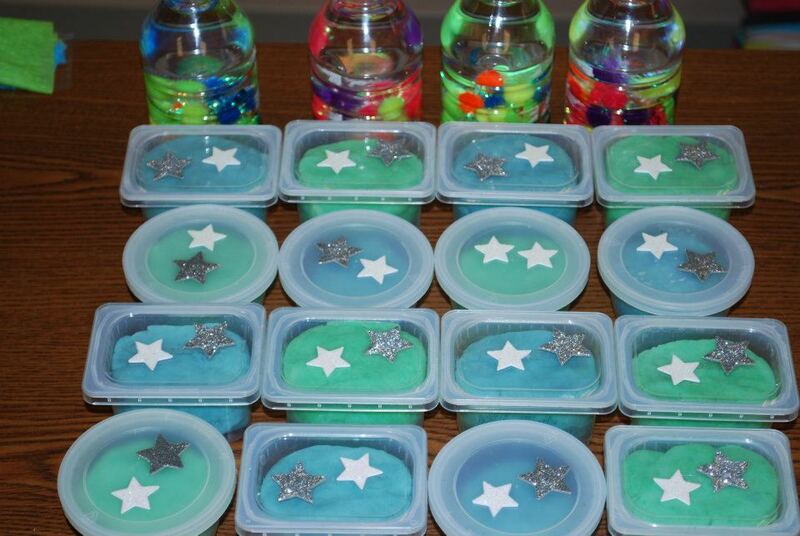 For the older kiddos I made homemade play dough. 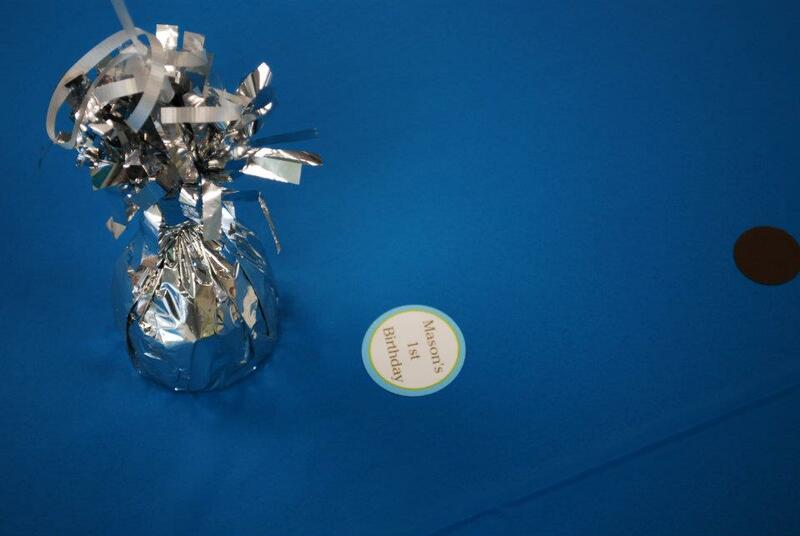 Each family also got to take home a favor that was filled with candy that included a thank you for coming to the party note. I also bought several coloring books and crayons for the kiddos because I knew there was a chance they’d get bored at some point. After the party they were able to take them home as well. 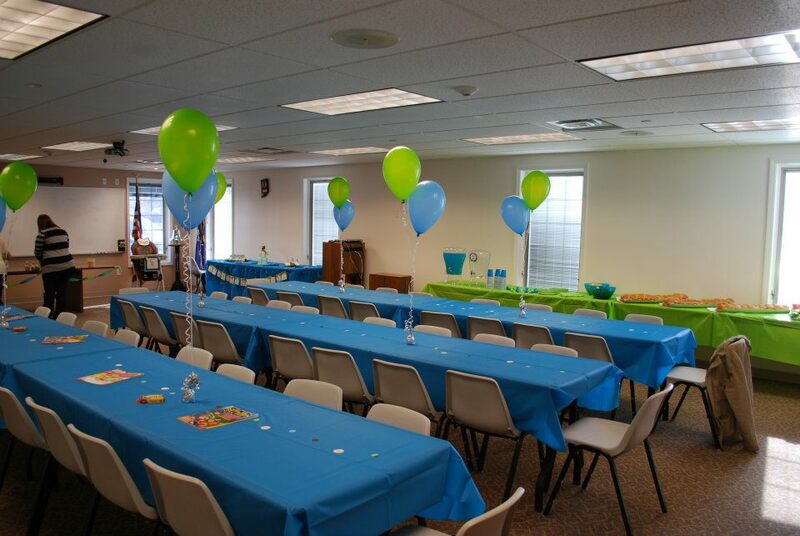 The party was a complete success in my opinion. 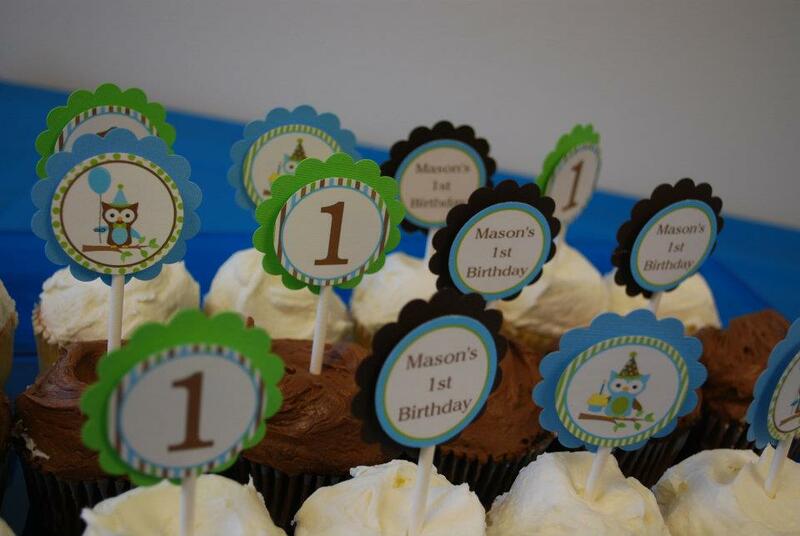 I can’t wait for Mason’s 2nd birthday party. I’ll be sure to give you more detailed instructions on planning, preparing, and celebrating. 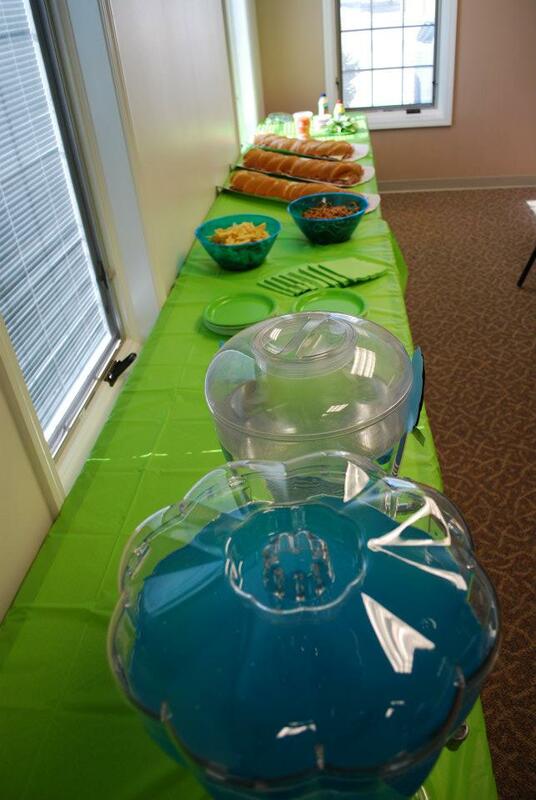 For more information on how I planned this party, what I made, where I got my decorations, food, ideas, etc. just send me a message through the Contact page. I’m happy to share anything and everything I can. 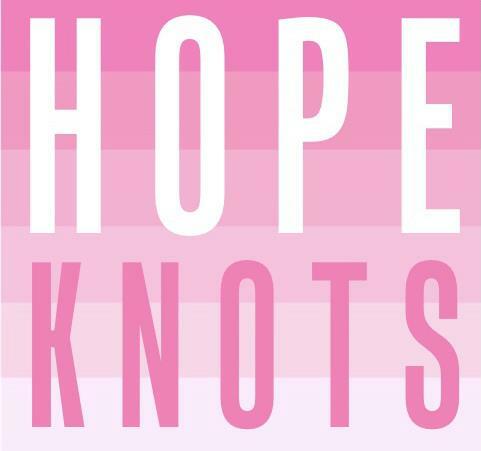 I’m excited to share with you Hopeknots! A beautiful friend of mine owns this business that is meant to build hope for youth with stylish accessories for babies, children, and YOU! 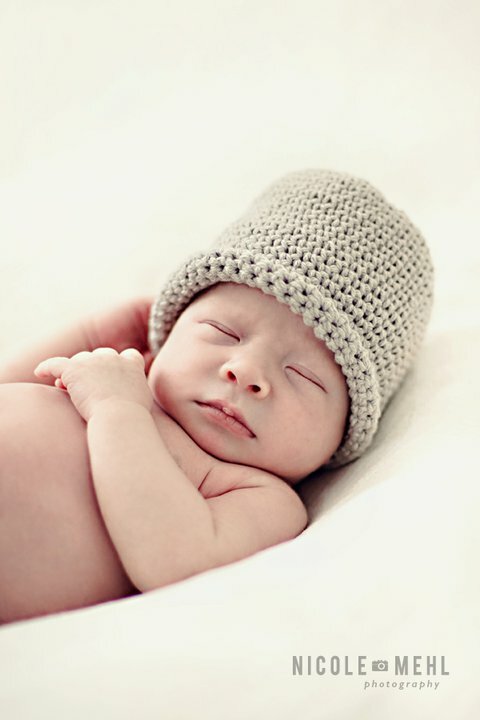 I was first introduced to Hopeknots when my photographer, Nicole Mehl, used one of their hats during Mason’s newborn shoot. 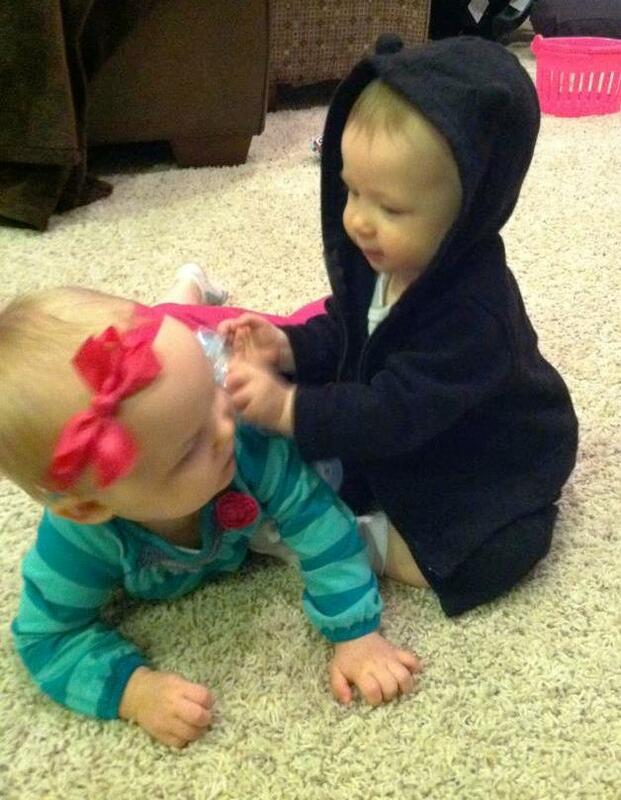 It was so stinking cute! Then for Mason’s 1st Christmas I decided he needed a Santa hat and I didn't want the typical Santa hat you can get at any store. I wanted a handmade one that would mean something and that we could hang on to and pass down. 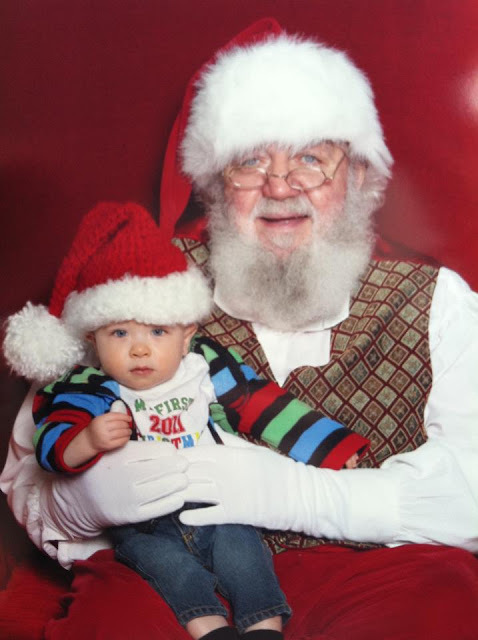 So, I contacted Danielle at Hopeknots and had the cutest Santa hat made for Mason. 100% of all Hopeknots proceeds go towards Youth Empowerment through the Sonnyvilla House of H.O.P.E. Because of this they are always looking for donated yarn, especially this year since they will be teaching the girls to crochet! If you have any to spare please let Danielle know. Through Sonnyvilla, Danielle opens up her home to inner city girls. She started Hopeknots as a way to raise money to support the Girls House of H.O.P.E. You can view items for sale on by visiting her store on Etsy or visit her on Facebook. 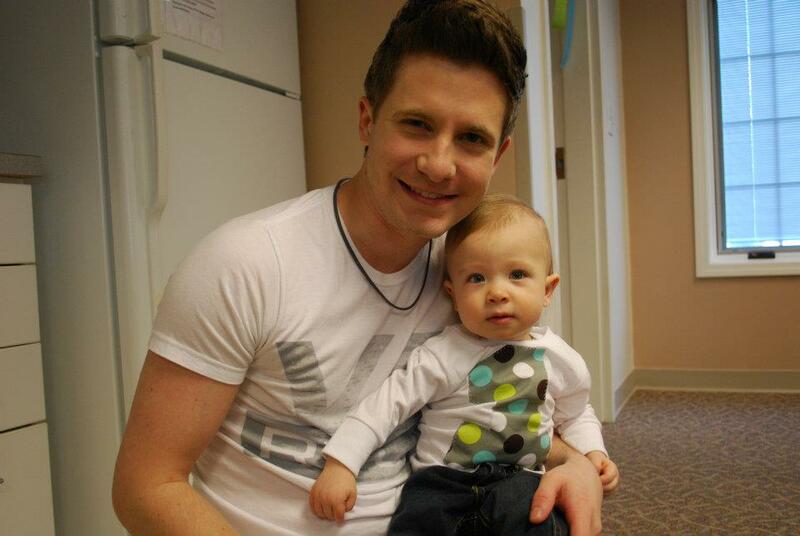 If you would like to request a custom item, please don't hesitate to send Danielle a message. More on Sonnyvilla's House of H.O.P.E. Sonnyvilla is a nonprofit organization in South Bend, Indiana. Our Houses of H.O.P.E (Homes Openly Providing Encouragement) are established to build hope for youth by encouraging emotional, spiritual, intellectual and physical maturity in a comfortable family-style setting. By developing life sustaining relationships, we create positive, flourishing environments for youth in our community to effectively engage in as opposed to their ever increasing negative surroundings. Each home is committed to equipping youth with life essential principles for daily living, establishing healthy relationships, excelling in education, gaining social and economic empowerment, promoting spiritual growth, and engaging in hands on learning activities as a team/family unit. We begin our journey together each day with “family time” around the dinner table. The key ingredient to maximizing our effectiveness is developing these homes within walking distance of middle schools and opening them up to youth during the “at risk” hours of 3-7 pm weekdays as well as on the weekend. For more information on Sonnyvilla and how you can get involved please visit their website. Winter, ugh. I know, I know…it’s too early to be thinking about winter and all of its lovely attributes (snow, ice, slush, freezing temperatures, shoveling, etc.). However, it’s never too early to be thinking about Christmas, which for those of you who know me; know that I think about Christmas pretty much all year long!!! But alas, this post is not about Christmas. [Insert boos here] This post is about WINTER! [Insert cheering here] Ha! For us Midwest folk we have a colder winter ahead of us according to The Farmer’s Almanac, with more snow than last year. 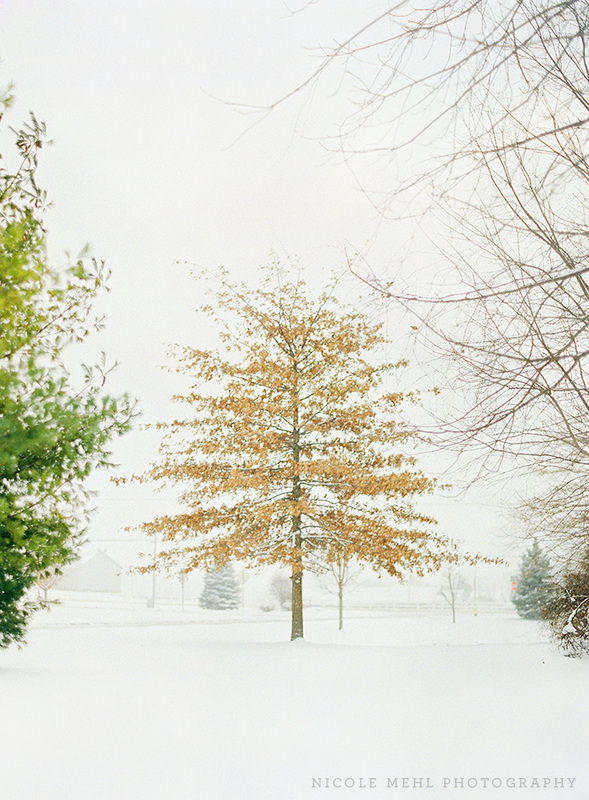 Last year’s winter was actually enjoyable, but most of us here in the Midwest know that it was an unusual winter. So, what can we do to prepare for winter? Well, let’s make full use of this warmer fall weather we are having and get outside with our kiddos and prepare for winter. Yay! If you’re anything like me, you expect your hubby to take care of all that stuff. However, this year I found some easy things that I can do that will contribute and a few of those things I can involve the munchkin in. Yes, it's a tedious job, but washing the windows inside and out twice a year (spring & fall) rewards you with sparkling views, unobstructed light, and the opportunity to check for cracks and damaged caulking. 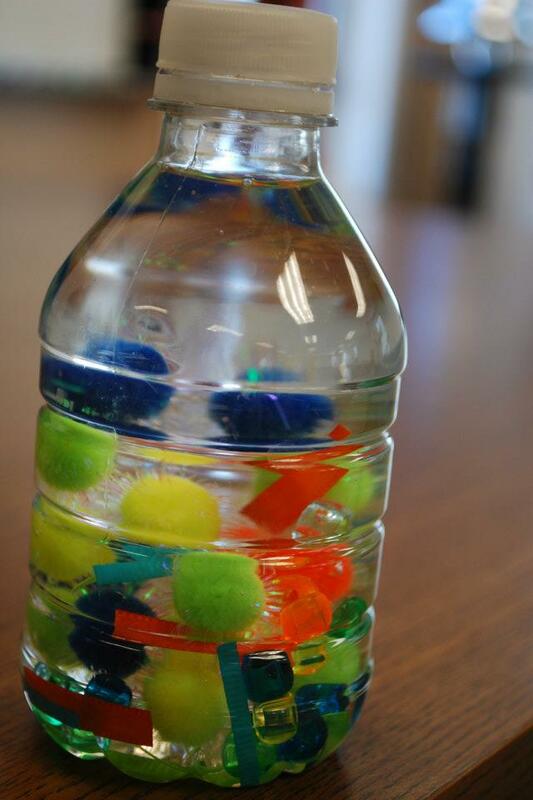 Make your own safe, non-toxic window cleaner by mixing 1/4 cup of white vinegar with 1 gallon of water. To involve the munchkin you can give him some paper towel and let him “wipe” the windows just like you or if you choose to use a cleaner on the outside windows that involves the hose, let him hose the windows down. 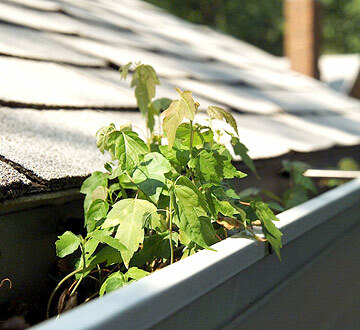 Whether your gutters have become roofline planters or have simply accumulated a season's worth of fallen leaves, get them cleaned out before winter rains and snows arrive. Obviously, you don’t want to be climbing up a ladder w/o the hubby around, so let him handle that part. You and the munchkin can have fun gathering the leaves as they fall down from the “sky”. 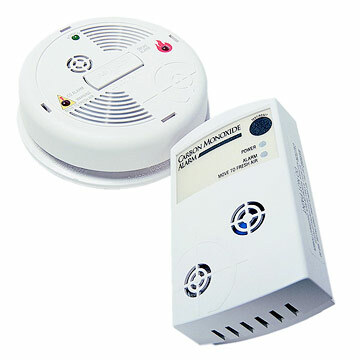 Experts recommend replacing the batteries in smoke alarms twice a year, and if your smoke alarm is between 5 and 10 years old, replace it with a new one. Take your munchkin around and as you test the batteries by pushing the test button on the alarm tell your munchkin to yell beep & cover his ears when it’s time to test it. A simple task, but he’s still involved. Plant spring flower bulbs and lift bulbs that cannot winter over such as dahlias in areas where the ground freezes. 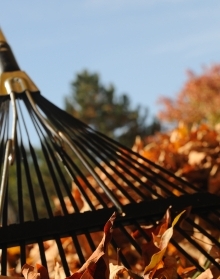 Remove dead vegetation from the garden. Move sensitive plants indoors or to a sheltered area. Let the munchkin pulls plants out of the garden or help dig holes to plant the bulbs. Here are a few more mama friendly things you can do on your own without your munchkin around to take some of the load off the hubby. Check your ceiling fan for a switch that allows you to reverse the direction of blade movement to turn clockwise instead of counter-clockwise. Warm air rises, and the clockwise rotation of the blades forces the warm air down to where people benefit from it. 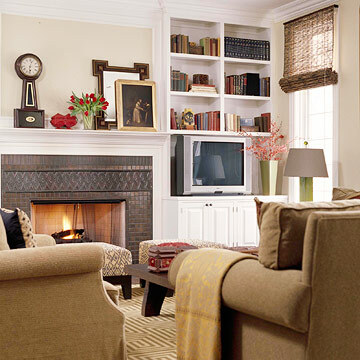 Changing the furniture arrangement is an easy way to give your rooms a new look and feel for the winter. Pull seating pieces close to the fireplace (if you’re lucky to have one) to create a cozier mood, and bring out soft chenille or fleece throws to ward off the chill. 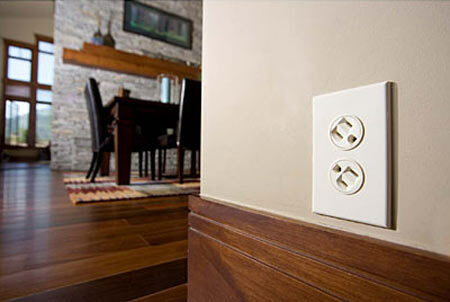 Even though only 2 percent of air leakage is through electrical outlets and switchplates, every little bit counts, and insulating outlets is easy and inexpensive. Check a hardware store for outlet gaskets (also called insulation gaskets). For me, I decided the safety outlet plugs we already have in every outlet to protect Mason will do the trick for us this winter. The Honey Do List (the list of items that your manly hubby should take care of). Call an HVAC professional to check the fan belt that runs the blower, vacuum out dust and debris, and oil the bearings if necessary. 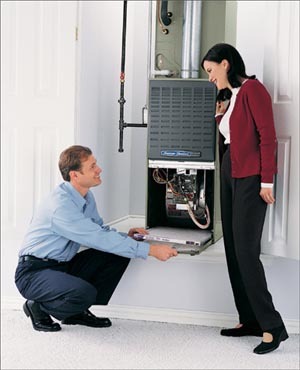 Buy enough filters to see you through the winter months and change them monthly--when filters become clogged with dust, the furnace doesn't operate efficiently and your energy bill goes up. About 30 percent of the cold air that leaks into your home comes through holes where pipes, vents, or electrical conduits run through the walls, ceiling, and floors. 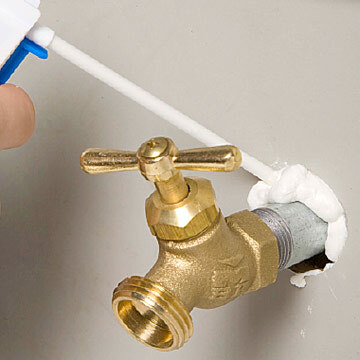 Check under sinks in the kitchen and bathroom and in the basement for gaps around pipes, and fill them in with an insulating foam sealant. Small gaps can be effectively sealed with caulk. Check the attic to see whether you need to add insulation -- experts recommend a depth of about 12 inches. 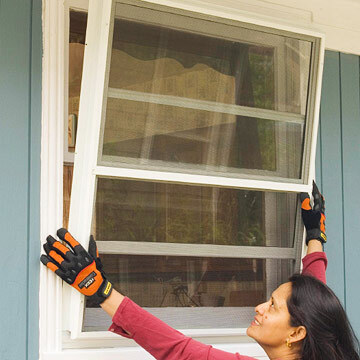 Install storm windows to reduce air leakage year-round. 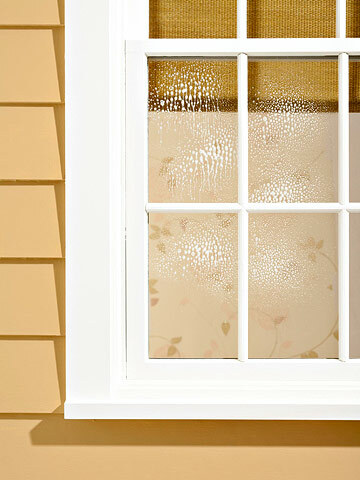 According to the U.S. Department of Energy, 10 percent of the air that leaks out of a house exits through the windows. 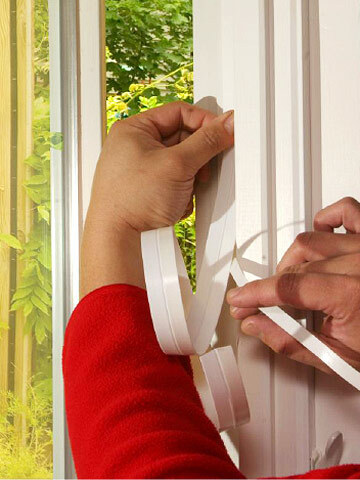 Caulk around window frames and apply weatherstripping between the sash and window frame to eliminate air leakage. 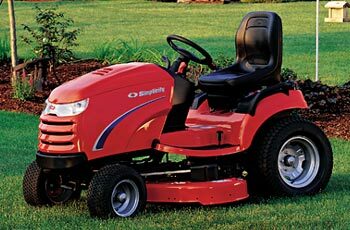 Drain gas from lawnmowers, tune-up snow blowers, get out your rakes and snow shovels, and store summer toys and gardening tools. 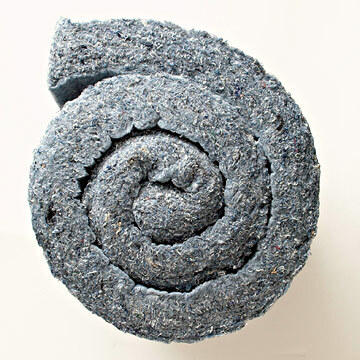 For more information on preparing your home for winter you can visit Better Homes & Garden.